New research from The Diffusion Group finds that 55% of all direct-to-consumer video subscriptions are being driven by Amazon Channels. As the chart below shows, for Showtime, Channels accounts for 72% of new subscriptions, for Starz 70% and for HBO 53%. Both HBO and Showtime reported record subscriber levels at the end of 2017 and the new TDG data underscores how pivotal Channels has been in the 2 premium networks’ revitalization. Yesterday the U.S. Department of Justice’s Antitrust Division sued to block AT&T’s proposed $108 billion acquisition of Time Warner. The suit breaks with decades of past practice where the DOJ has permitted “vertical mergers” (deals between companies operating in different segments of an industry) accompanied by certain operational limitations (so-called “behavioral remedies”). AT&T has pledged to counter sue, which means the deal’s outcome will now be decided in court. Though I’m not a lawyer, I’m willing to bet that AT&T is going to prevail for one simple reason: the DOJ’s complaint virtually ignores realities in the TV and video industries. It is only by ignoring these facts that the DOJ is able to lay its foundation for asserting that the AT&T-Time Warner would have too much power, potentially harm competitors and stifle innovation. AT&T’s task is to demonstrate the DOJ’s foundation is faulty, and therefore that its decision to block the deal is unfounded. No doubt you’ve already heard about the remarkable turn of events in the saga of AT&T’s acquisition of Time Warner. As reported by multiple news outlets yesterday, the Justice Department’s Antitrust division is apparently telling AT&T it would have to commit to either divesting Turner (including CNN) or DirecTV in order to gain regulatory approval for the deal. Both are totally unpalatable to AT&T. All of this puts Makan Delrahim, the recently confirmed head of the Antitrust division in the hot seat. Assuming he decides to block the deal and AT&T then sues the government, it will fall to Delrahim to make the government’s case that absent any divestitures, the deal would be anti-competitive. The bar is even higher for Delrahim because when he was a professor at Pepperdine, he said in a telephone interview with Canada’s BNN that he did not see the deal as a “major antitrust problem.” He explained that any Antitrust objection must be based on a belief that the deal would “substantially lessen competition” by “very defined legal and econometric standards” and that the burden of proof is on the government to prove this in federal court. I’m pleased to present the 355th edition of the VideoNuze podcast with my weekly partner Colin Dixon of nScreenMedia. This week we discuss four topics that caught our attention and we wrote about: research from GFK MRI that 30% of U.S. millennials are now “cordless” (here), Netflix’s move into reality TV programming (here); Google enabling YouTube ad targeting based on users’ searches (here) and the new chairman of the FCC, Ajit Pai (here). We dig into all of these topics and discuss their implications. After a long and arduous regulatory review, earlier this week Charter Communications closed on its $55 billion acquisition of Time Warner Cable and its $10.4 billion acquisition of Bright House Networks. Following the closings, Charter plans to phase out the Time Warner Cable and Bright House brands, re-branding its entire new footprint Charter, with service name Spectrum. Many TWC subscribers will gladly bid adieu to a brand that has had one of the worst rankings, as measured by the American Customer Satisfaction Index, in an industry that itself endures rock bottom scores. Of course, simply changing a company’s name isn’t sufficient to effect real change; rather, it’s the underlying service that must tangibly improve, a point that Charter CEO Tom Rutledge clearly stated in this interview with Bloomberg. Perspective What's this? Will The FCC Proposal To Unlock Set-Top Boxes Bring Change Or More Of The Same? FCC Chairman Tom Wheeler is circulating a proposal that would “tear down anti-competitive barriers and pave the way for software, devices and other innovative solutions to compete with the set-top boxes that a majority of consumers must lease today.” The proposal is up for vote on February 18. According to the FCC, the set-top box (STB) business costs consumers $20B per year. The intent of the proposal is to open the market to competition, giving consumers the option to buy STBs from third-parties, presumably at a lower price. But we’ve seen this movie before – a few times, actually. Previous FCC mandates following similar proposals has resulted in the cable industry implementing CableCard, OpenCable (OCAP) and, most recently, Tru2Way. In all of these cases, the so-called solutions fell short in one way or another as the status quo prevailed. This begs the question: can a new FCC-mandated approach be successful or does this movie have the same old ending? Let’s take a deeper look at what the FCC actually wants to accomplish, the proposed solutions and new approaches that could make this time different. Late last week Roku announced it was developing a hybrid set-top box, expanding on the “Roku Powered” partner program it announced back in September, 2014. Roku’s hybrid set-top will give pay-TV operators a single, inexpensive device to deliver linear and OTT services. Variety also reported that Roku has raised an additional $45.5 million, bringing total funding to date to approximately $200 million. Ironically (though perhaps not coincidentally), Roku’s hybrid set-top news came at the end of a week during which FCC Chairman Tom Wheeler unveiled a new regulatory initiative to “Unlock the Set-Top Box.” While his plan is light on details, it would essentially impose a new technology mandate on pay-TV operators to provide access to their programming to device manufacturers such that new interfaces and retail business models could be developed. I'm pleased to present the 262nd edition of the VideoNuze podcast with my weekly partner Colin Dixon of nScreenMedia. Today we candidly discuss the potential impact of the FCC's new net neutrality regulations. Over the past 20 years we've all benefited from a continuous improvement in wired and mobile broadband connectivity (albeit not perfectly consistent by geography or provider), fostered mainly by a "light touch" regulatory environment that spurred private sector ISPs to invest tens of billions of dollars in network upgrades. Content and services have flourished across both wired and mobile networks. Although I strongly believe we should continue to have an open Internet, and have no issue with rules that would have ensured that, I explain why using the 80 year-old Title II model to classify broadband as a utility was incorrect. Mainly I believe it will drive lots of litigation and create lots of regulatory uncertainty for broadband ISPs, which translates into disincentives to invest and further upgrade their networks. As a result, ongoing innovations in content and services, which rest on the foundation of broadband improvements, will inevitably be impacted. Further, I'm always wary of the risk of "unintended consequences" that accompany any new regulations. As such, preemptive regulation - such as yesterday's - where no fundamental problem even yet exists, makes me even more anxious. In short, my attitude is "don't fix what ain't broke." I fully recognize that I hold a minority opinion on this because I've discussed the topic with many people in the industry already. Colin disagrees with me, for example, because he believes the disincentive to invest argument is overblown. Unfortunately, I think the whole net neutrality debate has become so confused and politicized that any real purpose of potential government intervention has long since been lost. I'm pleased to present the 259th edition of the VideoNuze podcast with my weekly partner Colin Dixon of nScreenMedia. 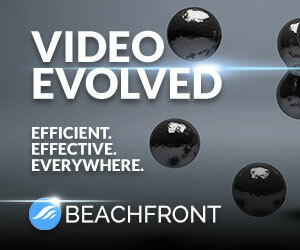 First up this week, we discuss mobile video's explosive growth. Cisco's new forecast puts mobile video's share of overall mobile traffic at 72% by 2019, up from 55% in 2014. Mobile video will account for 17.4 exabytes out of the 24.3 exabytes that cross global mobile networks in 2019. We dig into the contributing factors. Next up, this week saw the long-expected announcement from FCC chairman Tom Wheeler of net neutrality rules for broadband ISPs. The proposed reclassification to Title II follows President Obama's strong recommendation. While I agree that broadband is now a lifeline service, to me this still feels like a solution in search of a genuine problem. Colin disagrees and thinks Title II is the right move. We also discuss the prospects for approval of the Comcast-Time Warner Cable merger in light of the new regulations. This morning President Obama made his strongest endorsement yet for net neutrality, releasing a statement and video (see below) explicitly endorsing the reclassification of broadband services under Title II of the Communications Act, effectively regulating broadband as a utility (note, the change isn't Obama's to make, it's the FCC's, which is an independent agency). If the FCC did make the change it would be the most significant update to broadband regulatory policy since 2002 when broadband was classified under Title I as a lightly regulated "information service." The change to Title II would mean broadband ISPs would have to adhere to regulations dating back to 1934. In one bit of good news for ISPs, Obama specifically said rates should be excluded from Title II regulation (which means usage-based pricing could still be implemented). Any proposed change is guaranteed to be challenged in the courts by ISPs. Yesterday, FCC Chairman Tom Wheeler wrote in a blog post that he intends to start a rule making proceeding to broaden the definition of what a multichannel video programming distributor (an "MVPD," or more simply, a cable, satellite, telco operator that distributes bundles of cable and broadcast TV networks) is, to include companies that don't actually own their own delivery infrastructure. My weekly podcast partner Colin Dixon and I call these non-infrastructure companies virtual pay-TV operators, or "vPops" for short. This "technology-neutral" change would mean vPops using the Internet/broadband to deliver linear TV networks would also be considered MVPDs, therefore entitled to the same regulatory-mandated benefits. Wheeler characterized the move as being pro-consumer and pro-innovation and on the face of it, it definitely appears to be. But, digging deeper, it's not clear that this type of regulatory change would overcome actual market forces that will still determine the average viewer's video choices. If your head is still spinning from last week's HBO/CBS/potential cord-cutting news, then buckle up, because here's another doozy that seems ripe to be right around the corner: a partnership deal between Netflix and Comcast. You heard that right - two companies that have been sniping at each for years now have a perfect moment to strike a partnership deal with significant upside to both. First, as far as the deal itself, it would roughly follow the template Netflix has already established with large pay-TV operators in Europe and smaller ones in the U.S. All those deals' details aren't known, but at a minimum they include operators integrating Netflix's app into their IP-based set-top boxes'/devices' UI, certain co-marketing arrangements, and some type of revenue sharing by Netflix (i.e. one-time new subscriber bounties and/or ongoing revenue sharing). This morning Verizon finally made official what has been rumored for months - its acquisition of Intel Media's assets, including its OnCue and its IP-based TV set-top box. With the deal (plus other recent acquisitions of upLynk and EdgeCast), Verizon is now well-positioned to launch an over-the-top pay-TV service outside of its FiOS footprint. If and when it does so, then last week's net neutrality ruling takes on even higher importance, because incumbent cable operators/broadband ISPs would either have to allow Verizon's traffic through, unfettered, creating direct OTT competition for their core pay-TV services, or discriminate against Verizon, creating a perception of anti-competitiveness and no doubt, a PR firestorm. Earlier today the DC Court of Appeals threw out the FCC's Open Internet net neutrality rules. Net neutrality advocates are upset with the FCC for pursuing an illogical regulatory path from the start. They are deeply worried that now, unencumbered by net neutrality regulations, big broadband ISPs (which also happen to be the biggest pay-TV providers) will begin to discriminate against third-party online video services by shunting them to "slow lanes" and charging new delivery "tolls." I completely understand these concerns, but I for one don't envision any of this happening, at least not in the foreseeable future. Some of you are no doubt thinking - Will's naive, he's an idiot, he's a shill, etc. so let me explain. Nielsen released additional data from its Q2 2013 Cross Platform report substantiating the trend toward "binge-viewing." Nielsen found that a whopping 88% of Netflix users and 70% of Hulu Plus users say they watch 3 or more episodes of the same show in one day. The Nielsen data is directionally in line with survey results that Piksel released last week showing 94% of respondents engage in some type of binge-viewing behavior, either watching episodes together as quickly as possible, watching 1 or 2 every few days, or some combination of the two behaviors. I'm pleased to share Howard Homonoff's second piece on Aereo today. The first was "Here Are Aereo's Legal, Policy and Business Paths Forward." Howard is Principal/Managing Director of Homonoff Media Group LLC, a management consulting firm focused on traditional and digital media content distribution, social media analytics and regulatory strategy. He is a frequent industry speaker and producer/host of Media Reporter, starting soon on cable systems throughout New York City. Technology startups, by definition, often challenge the status quo - striving to deliver products or services that are better, faster, and/or cheaper than existing approaches. Yet, given the long odds against startups’ success, incumbents don’t often go on the warpath against startups in their space until the startup has at least demonstrated some genuine traction or ability to disrupt that status quo. In this context, the intense opposition to Aereo from the broadcast industry is unusual. Aereo has been deployed in just one market and hasn’t disclosed any metrics about customer adoption (unattributed numbers suggest negligible penetration to date). Yet broadcasters have launched vigorous litigation (thus far unsuccessful) and executives have threatened to abandon their decades of traditional broadcast-based business models in favor of cable-based delivery if Aereo is ultimately deemed legal. Why is it that broadcasters are so up in arms about Aereo? The answer, I believe, is that Aereo directly challenges a concept known as retransmission consent. As a close observer of Aereo’s coverage, I’ve been struck by how little attention retransmission consent has received, and how little it seems to be understood. Below I address 3 questions: What is retransmission consent? Why was retransmission consent originally created? Why is it viewed as so vital by the broadcast industry? I'm pleased to be joined once again by Colin Dixon, senior partner at The Diffusion Group, for the 137th edition of the VideoNuze-TDG Report podcast. First up this week, Colin and I discuss this week's news that the Department of Justice is investigating whether cable TV companies are acting to suppress online video. As I wrote on Wednesday, it's good for the government to be vigilant, but for now anyway I don't believe online video providers or consumers are being impacted (rather I suggested if the DOJ wants to address a REAL way consumers are being harmed it should look into the multi-billion dollar per year subsidy non sports fans are forced to pay for expensive sports networks). Colin disagrees with me. As he's stated in the past, he believes the use of "private networks" to deliver video traffic to connected devices that doesn't count against data caps creates preferred broadband lanes and are inappropriate (Colin believes Comcast is doing this with its recent plan to deliver video services to the Xbox). Wrapping up, Colin shares observations from Cisco Live a big analyst event he attended earlier this week and I do some shameless plugging for next Tuesday's VideoNuze Online Video Advertising Summit. Republicans on Capitol Hill will start their long-stated attempts to overturn the FCC's net neutrality regulations next Wednesday, with the House Communications & Technology Subcommittee planning a hearing. House Republicans have made no secret of their scorn for the FCC's net neutrality regulations and seem committed to doing whatever's necessary to block them from taking effect. While I've often said that net neutrality is a solution in search of a problem, the FCC's rules are actually not very burdensome, and to the extent that broadband ISPs abide by them, it feels unlikely that they would be expanded any time soon. Still, Republicans view this as an overreach by the government. It will be interesting to see how strongly Senate Democrats and President Obama come to net neutrality's defense, given all the other things competing for their attention. Broadcasters got a win this week as a U.S. District Court judge issued a preliminary injunction against Ivi, requiring the service be shut down. The decision comes as little surprise, as Ivi's claim to being a cable system, and therefore entitled to a compulsory license to rebroadcast TV networks, seemed specious from the start. Though Ivi vows to appeal the decision, casting itself as consumers' savior, there's little reason to believe we'll see Ivi - at least in its current form - back any time soon. Moral here: just because the Internet makes it possible to rebroadcast networks, that still doesn't make it legal. Speaking of set-top boxes, the cable industry, through its NCTA lobbying arm, was skirmishing this week on yet another regulatory front, the FCC's ongoing "AllVid" inquiry, which would possibly crack open the customer premise equipment (CPE) by establishing an IP-based standard. Google, Sony and other CE companies are lobbying for AllVid as a way of streamlining delivery of over-the-top content into living rooms. Cable operators are arguing that such a move would compromise existing network licensing models. A more overarching concern is that a regulatory mandated approach would significantly level the playing field for new entrants to compete for consumers' attention.